Paphos is one of the most famous resorts in Cyprus, the cultural and historical centre of the island. 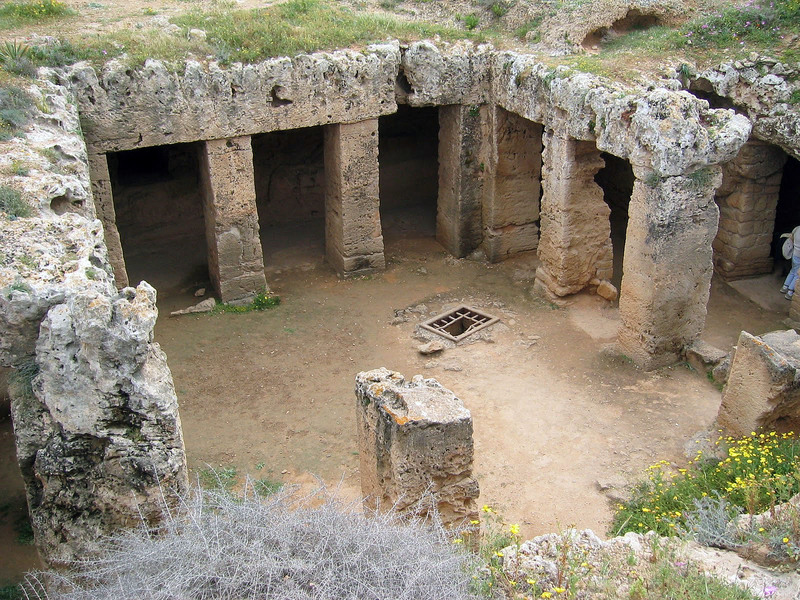 During the period of the Roman Empire Paphos was the capital of the island, while today many historical monuments are included on the list of cultural treasures and are under the UNESCO umbrella. Paphos has been linked with the Goddess of love, Aphrodite, because the place where she entered the sea, as the legend goes, is located not far from the city. 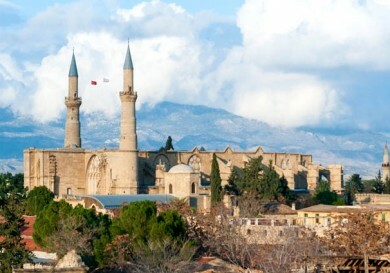 Today Paphos is a well developed spa – beautiful bays, comfortable beaches and a wide choice of hotels of any grade. 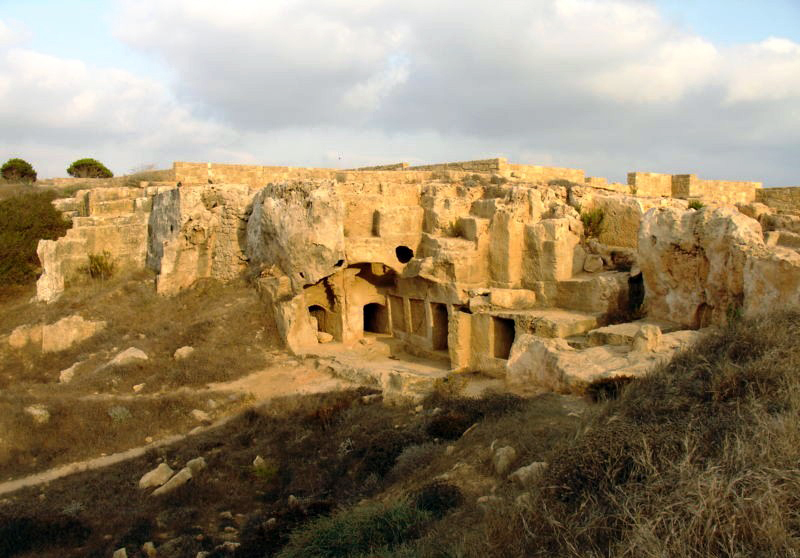 If you want to combine a beach vacation with a visit to the ancient shrines, Paphos will give you this unique opportunity. A grand ancient building is located not far from the harbour – sepulchres were cut into the rock of the famous Fabrika hill in the Ptolemaic era especially for the burial of aristocracy and the military elite of the island. The necropolis was used during Roman rule. To be more precise, construction of the necropolis started in the 3rd century BC, while burials took place until the 3rd century AD. The tombs are called The Royal Tombs, although no king has ever been buried there. The buildings look so solemn that they produce the impression of having been really built for royal family members. Some of the tombs resemble small palaces with wide pillared halls. You can see frescoes and stone carvings on the walls of some rooms. Some sepulchres are a model of houses with furniture and pieces of art. Christians used the Royal tombs as a shelter from persecution. The tombs were plundered over time and neglected, but since the 70’s interest to them has resumed. Very often great findings happen accidentally. This is what happened to the Paphos’ mosaics. At the start of the 60’s a local farmer discovered a unique thing while working in the field – remnants of buildings from Roman times. Later an archeological park was founded here which attracts attention of antiquarians worldwide. Three main discovered buildings are now open for visits – houses which belonged to rich and noble Romans (2nd – 3rd centuries AD). They were provisionally called the houses of Aion, Dionysus and Theseus. These names were attributed to the houses thanks to the preserved mosaics which adorn the floors and walls of the buildings. 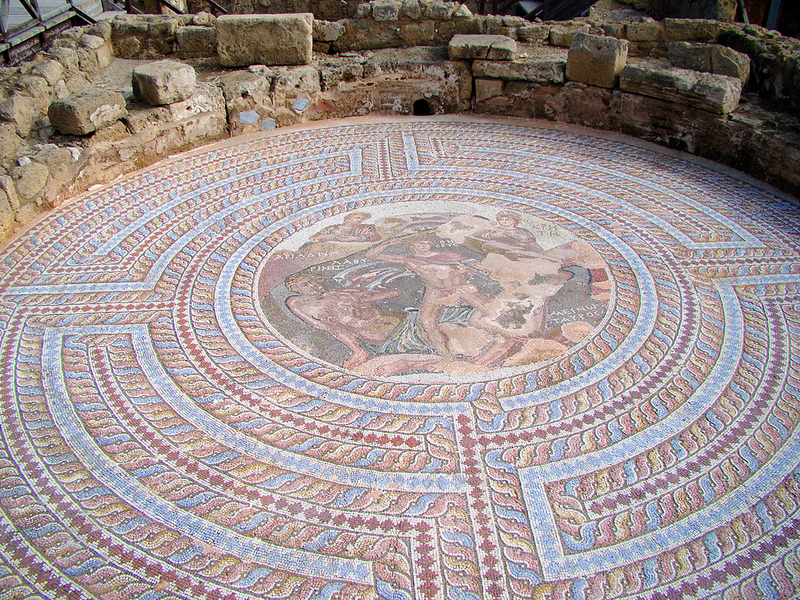 Each mosaic tells us about life of one of the ancient Gods or heroes. The House of Dionysus, where unique mosaics depicting scenes from life of the ancient Greek God of Wine, Dionysus, аs well as the first people inebriated by wine, are surprisingly well preserved on over 500 square metres, and are of special interest. 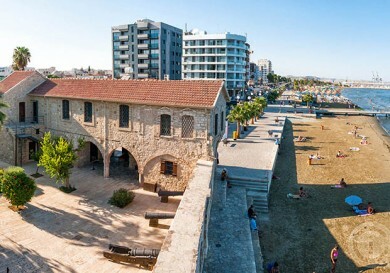 On the western edge of the embankment, in the Kato harbor of Paphos, one of the most interesting sights of Cyprus is located – the Port Fortress. According to historical sources this fortress was actively used by Alexander the Great. 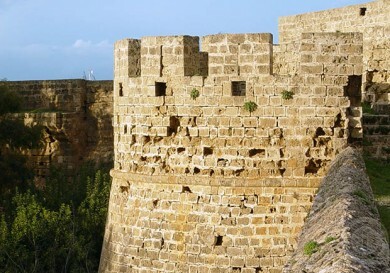 The first military fortification was erected in the fortress by the Byzantines. It was a small castle with an entrance, narrow windows, a large square tower and a small inner court. At the beginning of the 13th century the fortress was destroyed by an earthquake. Later, in the 14th century, it was restored by the Lusignans and they erected two towers to guard the city from the sea. When the Turks tried to seize power of the island, the Venetians demolished the fort completely so that the enemies could not use it. But as early as the end of the 16th century the Ottomans, who occupied the city, erected a new fortress which still graces the port. The defencive construction performed the additional function of a prison or warehouse to keep arms and ammunition. During the British rule, the fortress was used as a salt warehouse. Тhe Odeon theatre is located in the vicinity of the famous villa of Dionysus. The building was erected as far back as the Hellene era (2nd-3rd centuries BC), аnd was later finished by the Romans. Despite the age, the theatre is rather well preserved, although, like many buildings of that time, was damaged by earthquakes. The whole amphitheatre is almost wholly cut into monolithic rock, with only the lower portico built entirely of flagstones. In the centre there is a wall (diameter about 11 metres). The Оdeon was discovered аt the beginning of the 70’s, after which it was decided to restore the theatre. Now the Odeon has 12 rows for spectators, where previously it could host several thousand guests. Today the theatre is not just a historical monument, cultural events, which play an important role in the life of the city, take place here. The ruins of the Asclepeion church, devoted to the God of medicine and healing, Asclepius, who, as the legend goes, was the son of an ordinary mortal woman and the God, Apollo, are located not far from the ancient city. Asclepeion attained such heights in the art of healing that he could resurrect the dead. The Asclepeion cоmplex includes several buildings with the main building consisting of multiple terraces located one above another. The main church, which is the sanctuary of Asclepius, crowns the top of the main building. In addition, the middle terraces were turned into churches of Apollo, worshiped by citizens of Pafos. The complex of churches was also a learning centre of a kind, where people turned not only for medical help, but also to master the science of treating people. Some people link the name of Asclepeion not with Asclepius, but with the famous healer Hippocrates, who was born on the island of Kos in Greece, and they think that the church was built to honour him. 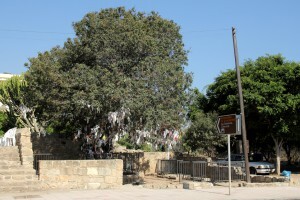 An unusual tree attracts the attention of passersby – pieces of cloth are tied to its branches. A powerful wooden trunk goes deep down into the cave of the martyr, Solomonia. Here in the 2nd century AD, during the times of persecution, Christians hid to hold secret church services. I think it is much better to pray sincerely to saint Solomonia about your needs and with faith that the saints are still in heaven and hear our pleas, instead of a strange tradition of tying pieces of cloth to the tree. 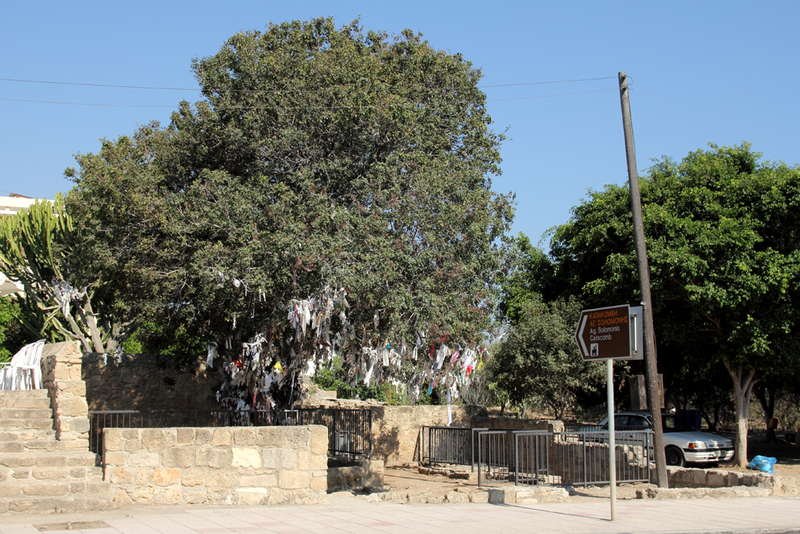 In the central part of the ancient capital of Cyprus – the Biblical city of Path – there remains a fragment of a column near which Saint Apostle Paul was whipped. The events of these far-off days are mentioned in chapter 13 of the Book of Acts. 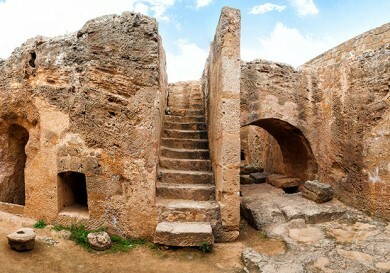 A working monastery is located beyond the city, a little over 10 kilometers off the touristic area of Paphos. 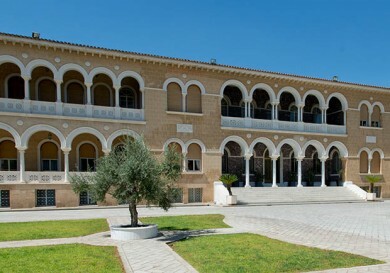 The monastery was founded in the 12th century and connected with a man of faith called Neophytos. The main buildings date back to the 16th century, but the caves where the saint lived, are preserved. In the monastery, there is a working museum, where you can have a look at ancient church service pieces, ancient icons and pottery. 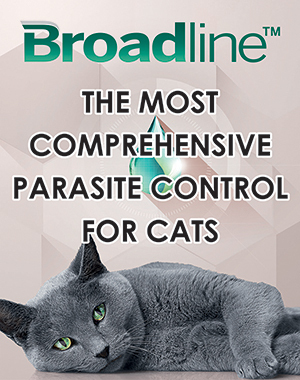 For more detail, check our materials. Paphos means passion and feeling in Greek. It is this noble feeling which strikes you when you step on the ancient soil and feel the value and the richness of the cultural heritage of this unique city. 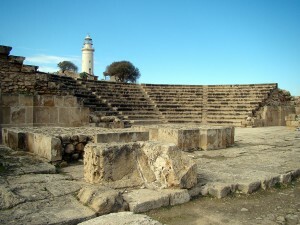 Paphos will enchant you with its beautiful and interesting places, and will charm you with wonderful natural monuments. When travelling around the city and seeing the sights of Paphos, prepare to be surprised, the city will hold its hospitable arms out for you and will give you unforgettable memories.